The Electronic filing has many advantages. It increased the speed with which applications can be filed facilitated 24 X 7 file movement making it possible to receive files on days the office is officially closed extending the time for moving files on any given day till midnight. 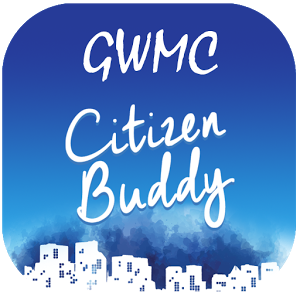 The e-Office facilitates simplified, responsive, effective and transparent process of carrying out office procedures electronically in GWMC, GWMC as the head of this huge organization will receive about 100 to 200 files per day on an average Timely disposal of these files. 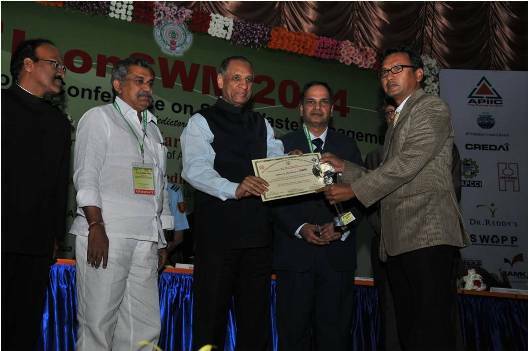 Sri Rahul Bojja Dist.Collector & Special Offcier of WMC Receiving Award for Best Service Through MEESEVA. 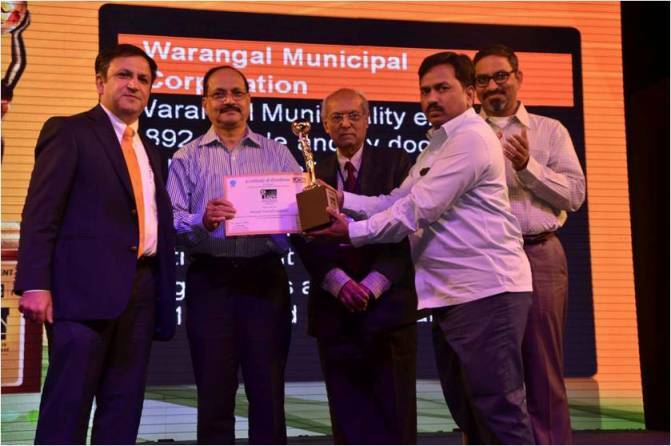 Best Heritage City Award Received from Government of India Ministry of Tourism. e-INDIA Award 2013 for Single Window Cell Tap Connection. 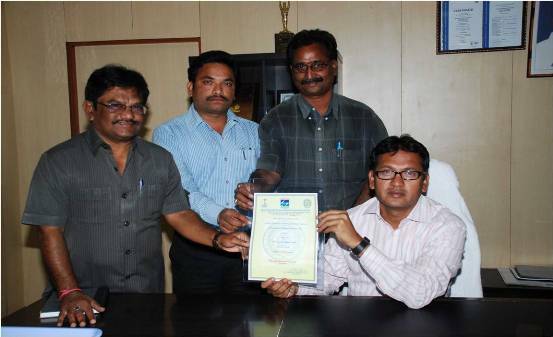 Sri G.Kishan IAS Dist.Collector & Sri.Vivek Yadav, IAS Receiving ISO-14001:2004 Award for SWM.